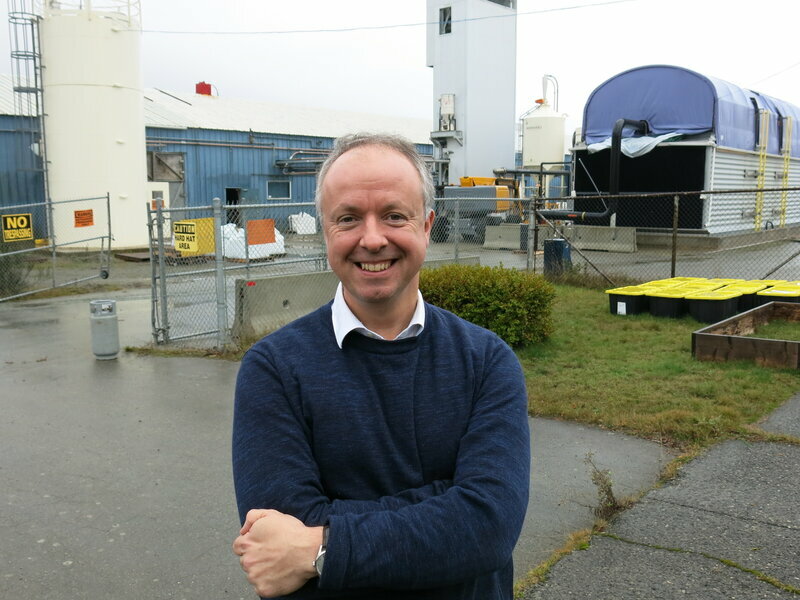 Carbon Engineering CEO Steve Oldham in front of the company's Squamish, British Columbia, pilot plant. At a major climate meeting in Poland, nearly 200 countries are trying to reach a deal on dramatically reducing carbon emissions. But a recent U.N. report found that may not be enough to avoid dangerous impacts from the warming climate. In fact, the world is falling so far short of what’s needed, it said, that it might be necessary to pull massive amounts of carbon dioxide out of the air. The problem is that there’s no feasible  let alone economical  way to do that yet. But there are a number of efforts underway to find one, including in the small, picturesque town of Squamish, British Columbia, an hour’s drive north of Vancouver. The process of capturing CO2 starts with an “air contactor,” which looks like an oversized semitrailer with a huge fan on top. In front there’s a black grill with a solution containing potassium hydroxide flowing down it, so it sounds like a waterfall. Once the solution meets the air, it captures and retains carbon dioxide. That may sound simple, but it’s not. Even though scientists say there’s too much CO2 in the atmosphere now, it’s at a very small concentration  only about 0.04 percent. “So you have to pull in a huge volume of air to get that CO2, and that’s really the trick to direct air capture,” says Jenny McCahill, a chemist and engineer who works for Carbon Engineering. Then the pellets are heated to 900 degrees Celsius (1,652 degrees Fahrenheit) to further concentrate the CO2 into a gas. At this point the company could inject that underground. That’s one way to address climate change. But there’s no business model for that right now, and Carbon Engineering is looking for profits to help its technology expand. To that end, it combines the CO2 gas with hydrogen extracted from water and makes a clear, synthetic fuel that McCahill says is similar to crude oil. Once this fuel is put through a refinery, McCahill says it can be turned into products such as gasoline, diesel and jet fuel. But burning those emits carbon dioxide, so essentially carbon would just be moved around instead of reduced in the atmosphere. Still, the company argues there’s an environmental benefit. “If we were to sell our fuel directly at the pump today, we’re about 20 percent more expensive than regular gasoline,” Oldham says. Right now you can’t buy this fuel, though, because the company’s pilot plant removes just one ton of CO2 from the air each day and produces only about two barrels of synthetic fuel. But Oldham says his company is ready to start building larger plants. Wilcox says this technology shouldn’t be seen as the one solution to climate change. 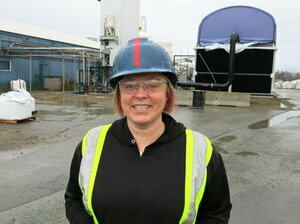 But combined with many other efforts, she thinks it could make a valuable contribution. Still, Wilcox and others say the technology needs more research and development. says Carbon180 Executive Director Noah Deich. His group in Oakland, Calif., advocates for an economy that removes more carbon than it emits. Deich says direct air capture needs the kind of private and government investment that helped wind and solar grow. Earlier this year Congress did expand tax credits for extracting carbon. “I think an even bigger opportunity on the policy front is in California,” Deich says. 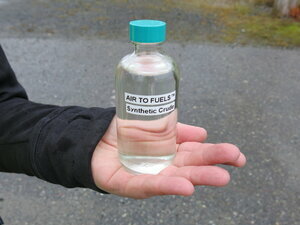 The state’s Low Carbon Fuel Standard includes a carbon trading program for transportation fuels such as gasoline. That could be a big boost for Carbon Engineering’s fuel. 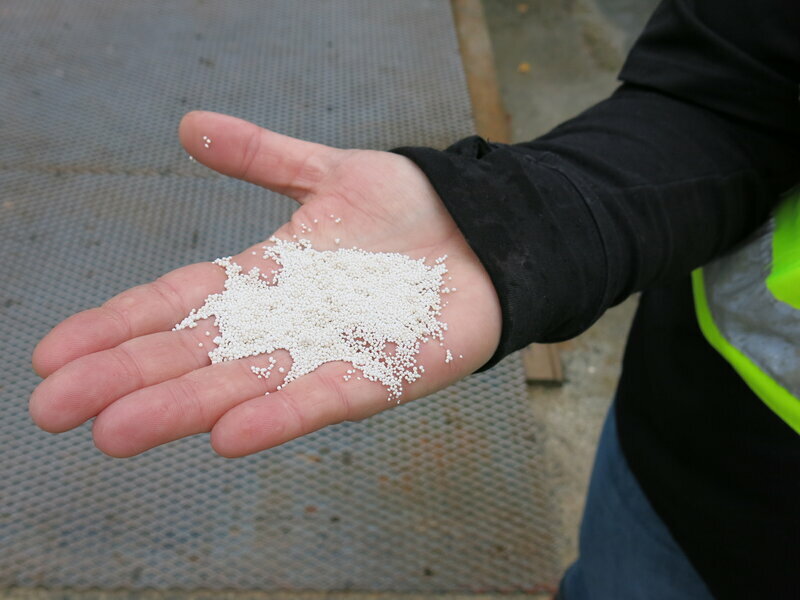 Oldham says his company plans to soon build its first full-size plant, one that will remove much more carbon dioxide from the air and run on renewable energy. (The pilot plant uses natural gas.) If all goes well, he hopes it will become a model for many more such plants in the near future.